On EVERY case we conduct a thorough investigation and subpoena every bit of evidence. Even though a client may just want to get this over with, it is important to have all the evidence available before resolving the case. Only a thorough investigation can reveal potential defenses that are not apparent after reading the police report. Keep in mind the police reports are written by trained officers that actually take classes on how to write police reports. After reading thousands of police reports, they are written skewed towards guilt. There are very few circumstances in which a case should be quickly handled. Obtaining the additional evidence offers potential defenses and deficiencies in the prosecutor's case. Thus, we are able to negotiate with the prosecutor in a persuasive manner letting them know that Amy Morell “has done her homework” and knows the case inside and out. This results in some cases being dismissed, charges reduced, or consequences minimized. Dispatch records/911 calls from the police agency. Breath maintenance and calibration records from breath machines including the device out in the field. Blood trial packages from the lab that tested the client's blood. Police officers qualification and certifications. Video and audio of the stop/arrest/tests. We regularly confer with some of the most highly regarded Forensic Toxicologists in the field of DUI defense. 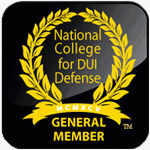 We have personally worked with and been taught by the leading authorities in the DUI field. If your case needs expert testimony, we will thoroughly discuss the expert's testimony with you so that an informed, educated decision can be made on whether to use the expert at a DMV hearing or court proceeding. 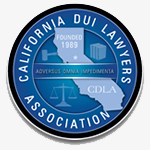 We have defended more than a thousand DUI cases, including conducting more than a thousand DMV (Department of Motor Vehicle) hearings. 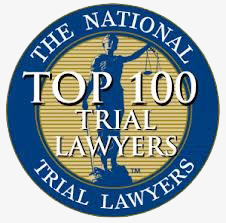 We know the judges and prosecutors in all of Northern California having appeared in court more than a thousand times. We are knowledgeable of the local rules and procedures of DUI cases in all surrounding counties. Amy Morell started her law career as a Deputy District Attorney. As a prosecutor, she prosecuted those charged with DUI offenses. Therefore, she knows what prosecutors are looking for and thinking - having been one herself. As a Defense Attorney solely defending DUI cases for over 22 years, she knows the arguments to make to get the best possible outcome in your case, including dismissals and reduction of charges. You deserve an attorney that specializes in DUI defense. Why choose us as your Criminal Defense law firm? We PERSONALLY handle each of our cases from beginning to end. We will be investigating your case personally. We will be attending your DMV hearing. NO other attorney will be taking over your case. Amy Morell has won DMV hearings saving her clients' licenses from being suspended and their insurance rates increasing. She knows the DMV hearing officers and what it takes to win your DMV Hearing. Amy Morell is Certified by the National Highway Traffic Safety Administration (NHTSA) and the International Association of Chiefs of Police (IACP) for DUI Detection and Standardized Field Sobriety Testing after completing a rigorous three day student course. This course is the same course given to police officers across the state. She knows when officers have failed to properly administer these tests to subjects. 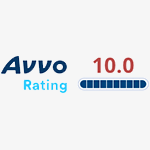 I was going through a very stressful time and was able to worry less once I hired Amy. She was with me every step of the way.